I was admitted in a reputed college, pursuing a Hotel Management course. I don’t exactly know why I joined the college, but I guess it was because most of my friends thought hotel management is cool. It sure is, but it took me a while to realize that it was not something I wanted to do. The ‘cool’ didn’t work out for me, sadly! I ditched my course, left it shortly after my first semester. My parents, like all others were mad at me for my casual decision, but what followed convinced them I left it for good. travel and tourism course shortly after. 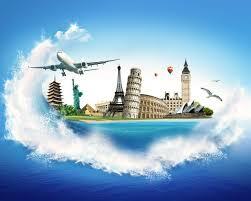 Always a traveler at heart, it is a wonderful experience to plan out vacations for people and get to travel myself! As a part of my job, I get to meet new people every day and go on tours frequently to places I have never been before! There is a fair amount of management involved too, for which I have already received formal training during my course. One more benefit I draw out of my job is the list of contacts I have made from the hotel industry, airlines industry and etc. I have made acquaintances with people of various related field who help me plan out my personal holidays and vacations too! Travel tourism is a fantastic career option in this era of MBA and engineering, all you need to have is a strong communication skill, flair of writing, enthusiasm to know more, spirit to see new places and an eye to details. Even if you are not born with all of these qualities, you can always acquire them!